By Yuliuts: Google translate from Bulgarian . Nostradamus depicts the Second Coming as a Peacemaker born in the Oriental East. This new Messianic figure, in the words of the prophet is a new religious leader, carrying the New Truth, will work to unite religions against the Red Communism and will bless big numbers of families wherever he goes. According to Nostradamus his name will be "Moon." In his prophecies, "Moon and his followers" will be greatly persecuted and misunderstood. For this reason, the founder of the so called, Unification Church, Rev. 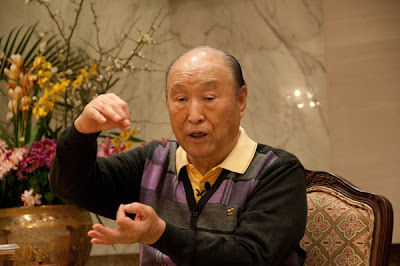 Sun Myung Moon, is one of the 10 new religious leaders that John Hogue described in his book as the possible Messiah coresponding to Nostradamus' signs. (Nostradamus and the Millennium, John Hogue, 1987). First, Rev. Moon is the only founder of a new world religion we can think of. There are only 5 world religions that were ever created in the human history; Judaism, Christianity, Muslims, Hinduism and Buddhism. They all started about 1500 to 2500 years ago. Many denominations came out of them, but never "a new religion". Reverend Moon could rise a completely new Unificationist religion and in less than 40 years it became worldwide spread. The second prophecy is, that this new religion will unite them all. People will understand that God is one, the prophecy sais. That's why all the prophecies about the returning Messiah depict a person who comes as the second coming of the founders of all religions. So he comes not only for Christianity, not only for the Muslims, not just for the Buddhists and Hindues, but to unite them all and fulfill God's purpose. 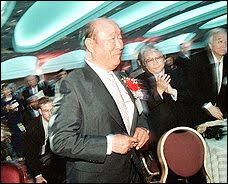 In all the history of humanity never have appeared a man like Reverend Sun Myung Moon, who not only wanted to unite all religions, races and nationalities, but was really so succesful in doing just that. No one can say that God was not working through him. No chance to make all that foundation without God's support and the assistance of all the great religious founders from the spirit world. Sun Myung Moon is one of the few, working for the unity of all religions - which is his central aim! Teaching, that "God is our Parent and we are all One Family." 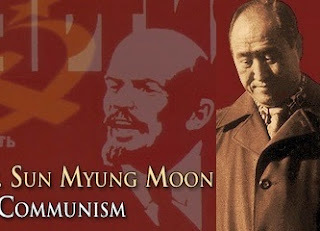 But Dr Moon was also the Anti-Communist number one. He really succided in working with all religious leaders to stop Communism in a peaceful way. 3. 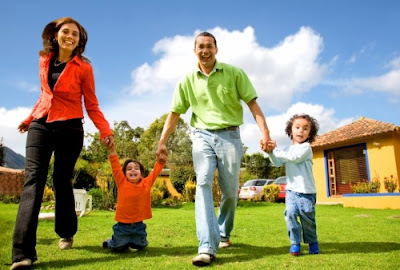 Moon is definitely the only person who Blesses many families wherever he went, as Nostradamus predicted. 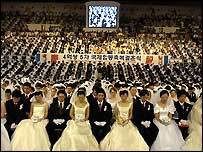 (400 million couples had already received his Marriage Blessing). 8. Moon is a New Religious Founder, exactly as Nostradamus foretold. In half a century his new religion expanded in all nations. In such a short time he could acheav influence and success beyond anything other religions could in 2000 years, thus gaining influence in all areas of life; religion, media, culture, politics..
One of the signs according to Nostradamus is that "Moon" will suffer great persecution and misunderstanding; He will be repeatedly thrown in jail; He will fly and travel a lot, but wherever he goes he will bless the families (Rev. Moon held enormous International Marriage-blessing ceremonies all around the world). Nostradamus pointed that in 1991 the world will have heard about him, but will still not be able to believe. However in 2012 his foundation will become so great that the world leaders will start recognizing him. Finally, our attitude will determine what will follow; a bright future, following his guidance, or destructive World War III, if we reject him. When it comes to predictions, the best known is Nostradamus. He has made many accurate prophecies. At his late 40's, Nostradamus began to receive visions of the future and to record them. He fashioned the document as a quatrain in Latin, French and Greek. He called it "ages" and published it in 1558. Nostradamus predicted both world wars and 18 quatrains which he wrote as prophecies were related to the Third World War. Nostradamus wrote in total 950 quatrains. In 60 of them Nostradamus desribes our time associated with the apearance of the Messianic figure. The Messianic figure connected with the name "Moon" will bless the families wherever he goes, according to Nostradamus. In his predictions we find about 40 signs by which to identify this man: A new religious leader - carrier of a new truth for our time. Nostradamus also conveys the view that his prophecies are intended to awake us and avoid destruction which could obliterate big part of humanity. According to Nostradamus the Third World War will not destroy humanity if it makes the necessary changes. 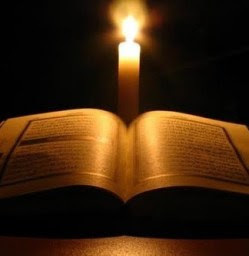 Most likely this is connected with following the directions of that person - The Peacemaker, which in the words of the prophet is a religious leader, born in the Oriental East, carrying the New Truth that unites religions against the Communism. His name is linked with the word "Moon", which in Korean means "God's Word" (The Word given by God to men). Other, thousand years old prophecies, also point to Korean Messiah, unifying the world, suffering, uniting religions, but fulfilling God's Will. "People blinded by gold, it would be difficult to renounce temptations. Look for a secret message in South Korea - it is all hidden, "but" stupid people can not find it. No one else could be the fulfillment of prophecies of Nostradamus about the Peacemaker born in the East, who will be unifying the religions against Red Communism, and will bless families wherever he goes in Mass Wedding Blessings. How more obvious can you get? If you read these 144 essays about Rev. Moon's work, by many famous world leaders, you'll find that Rev. Moon undoubtedly must be the predicted Messiah. "He will come and unify the world (2000 to 2025)... he will accomplish the will of God"... "He will suffer and shed tears of blood... and reach out to the four corners of the world. He will unite Confucianism, Buddhism and Christianity"... "People blinded by gold, it would be difficult to renounce temptations. Look for a secret message in South Korea - it is all hidden, "but" stupid people can not find it."